Explanation: What's happening over the water? Pictured above is one of the better images yet recorded of a waterspout, a type of tornado that occurs over water. Waterspouts are spinning columns of rising moist air that typically form over warm water. Waterspouts can be as dangerous as tornadoes and can feature wind speeds over 200 kilometers per hour. Many waterspouts form away from thunderstorms and even during relatively fair weather. Waterspouts may be relatively transparent and initially visible only by the unusual pattern they create on the water. 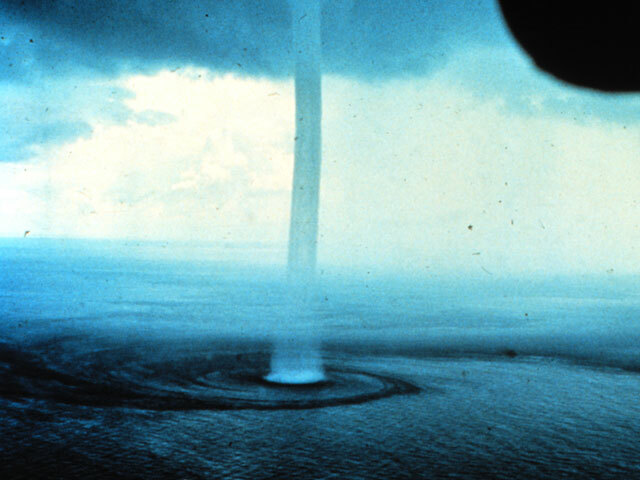 The above image was taken in 1969 from an aircraft off the Florida Keys, a location arguably the hottest spot for waterspouts in the world with hundreds forming each year. 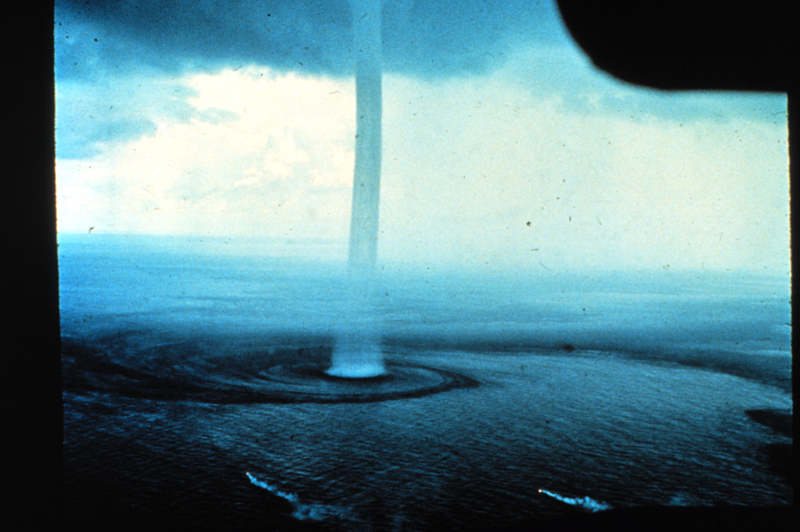 Some people speculate that these waterspouts are responsible for many of the losses recorded in the Bermuda Triangle region of the Atlantic Ocean.